The largest contemporary art exhibition and programme of events ever staged in the UK. 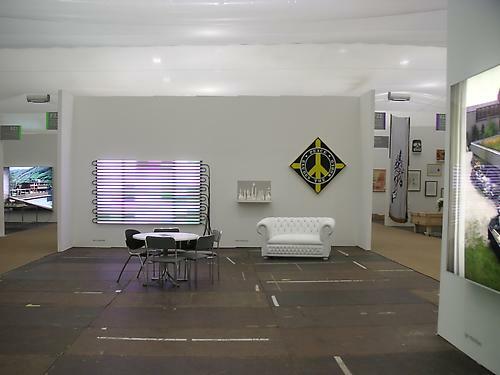 Featuring 140 of the world’s leading contemporary art galleries, this year the fair hosted new additions from Moscow, Beijing, Melbourne and Auckland, as well as some notable new participants from mainland Europe and USA, alongside many of those from last year’s critically acclaimed and commercially successful inaugural event. Showing over 1,000 artists – all housed in London’s Regents Park, in an enlarged temporary structure designed by architect David Adjaye – Frieze Art Fair 2004 was the largest single contemporary art exhibition ever staged in the UK. The supporting programme of events includes commissions by leading artists; talks with leading art professionals; educational events for local schools; and a music programme. With 40,000 estimated visitors, including some of the biggest players in the art world, this is one week in the calendar when London is indisputably the most important city for art.